Greer's OC | Calling All Dessert Enthusiasts! Dessert enthusiasts looking for new sweet choices can enjoy Puesto’s new Pastry Chef Erik Aronow menu items such as Tres Leches de Café; Mangoloco, mango Chamoy coulis with dark chocolate shell and jamaica confit with pepita crumble; Coconut Crema Trifle, a take on a mud pie; and Rompope Paleta, made with housemade Mexican eggnog and brandy. He will also be adding a few new desserts for the February menu. Chef Erik Aronow comes to Puesto with a rich history of more than 15 years of experience, which began with a stint at Thomas Keller’s Bouchon Bistro in Beverly Hills. 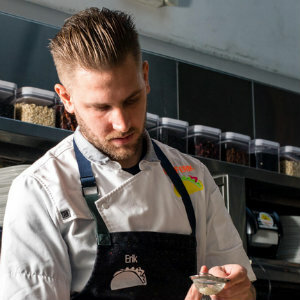 He later found himself in the kitchens at Red Medicine and Republique, then spent time under Top Chef Michael Voltaggio while at Ink, before finding a pivotal mentor in Jordan Kahn, the singular chef at Destroyer who went on to open Vespertine. Aronow moved to San Diego in the Fall of 2018 to lead Puesto’s dynamic pastry program as its executive pastry chef. 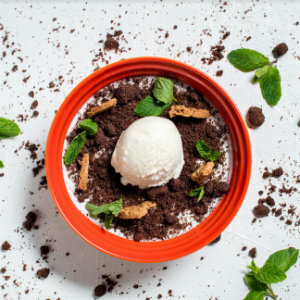 Fascinated by regional and ethnic cuisines, Aronow is creating desserts for Puesto with a focus on traditional techniques utilizing indigenous Mexican ingredients. While he is based in San Diego, he travels to all Puesto locations throughout California to curate each menu. 8577 Irvine Center Drive in Irvine. 949.608.9990. 3311 Michelson Drive in Irvine. 949.608.7272.